I love Champagne. Don’t get me wrong. Just not ALL Champagne. Just not all the time. For me, any brand emotion is quickly negated when I sip another glass of indifferent acid with bubbles like ball bearings because “it was on offer”. The brilliant, good value alternative for people who still want their Christmas fizz to be French. It’s made in the same labour-intensive way as Champagne, with a second fermentation in bottle. 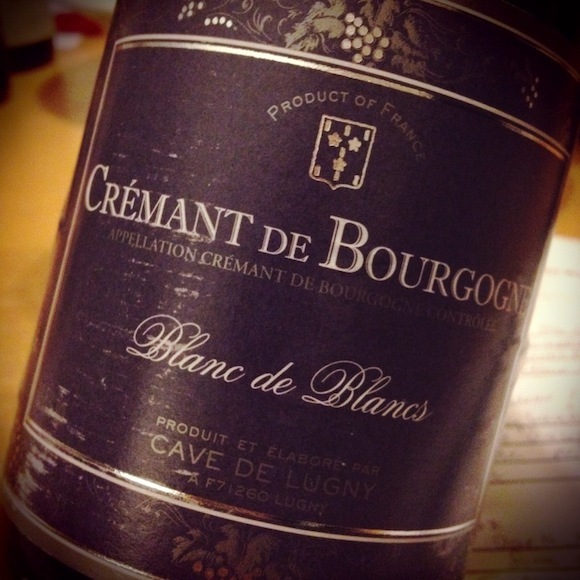 Cave de Lugny Crémant de Bourgogne Blanc de Blancs NV. Stylish, shapely – like Pippa Middleton’s derrière draped in THAT dress. See my post on it. From Oddbins, £11.50. Simonnet-Febvre Crémant de Bourgogne Brut NV – more elegant and restrained than the Lugny. More Catherine Middleton than Pippa. It retails for £13.99 in several places. Wine Rack currently has it for £11.99. Antech Blanquette de Limoux, Brut Nature, made mostly from local grape Mauzac, hence the specific name (Crémant de Limoux is not reliant on Mauzac). Pure as the driven snow, with a nod to ripeness and hints of lime and straw. Big hit when I serve it as an aperitif. The Wine Society. £9.25. Dopff au Moulin Crémant d’Alsace ‘Cuvée Julien’ Brut NV. Like a gentle stroll through an orchard as it blossoms. Not so fruity as to offend. Not so dry as to make you wince. Available online and in independent stores from £11.50 to £14.30. These are gentle sparklers that have finished their only fermentation in bottle, using only yeasts that occur naturally on the grape and in the winery – and no added sugar. So don’t expect gazillions of regimented bubbles streaming up the glass. Just a little glitter as you sip. My favourite Pet Nat to date came from the Loire, Domaine Les Capriades Che Nain de Jardin made from Chenin Blanc. Sadly, it is not currently available (sob). Its replacement, VDF Cocktail Pet Nat, is a bit too peachy for me in current form. 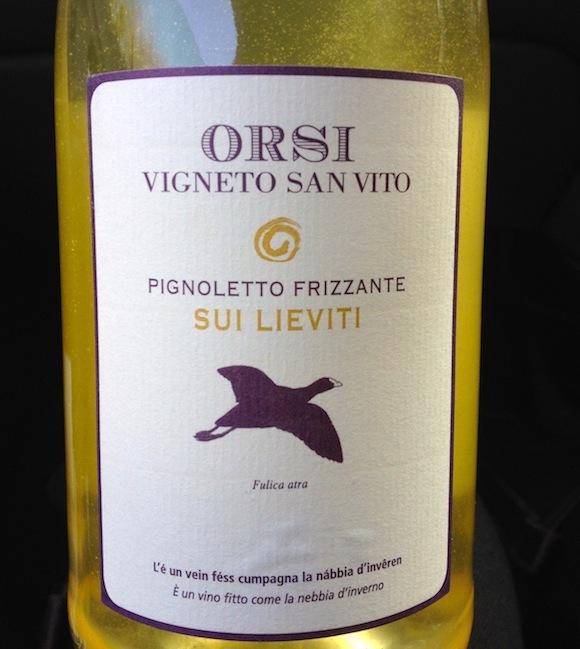 But, if you want to get your granny to drink natural wine, this is it. From Les Caves de Pyrène c. £15. Domaine Benoit Courault Petit Chemin NV, also from the Loire and made from Chenin, makes a good second best with its apple cheese appeal. From Green & Blue £15.75 (who I hope will stay online in 2013 even if the physical shop is sadly closing). Pet Nats aren’t restricted to the Loire. Or even France. I bought one recently from Noble Fine Liquor in London’s Hackney that came from near Bologna. Technically, I’m not sure it’s a proper Pet Nat as, according to Australian review site The Wine Front, it goes through a second fermentation, though more yeast isn’t added. But it is refreshing, savoury, salty with a depth added by the lees that are still in the bottle when you buy it. Good with salted crisps. Yes, I know. I’ve slagged off the ever-growing popularity of this northeastern Italian fizz not because I don’t like it, but due to the amount of cheap mediocrity that graces our shop shelves. 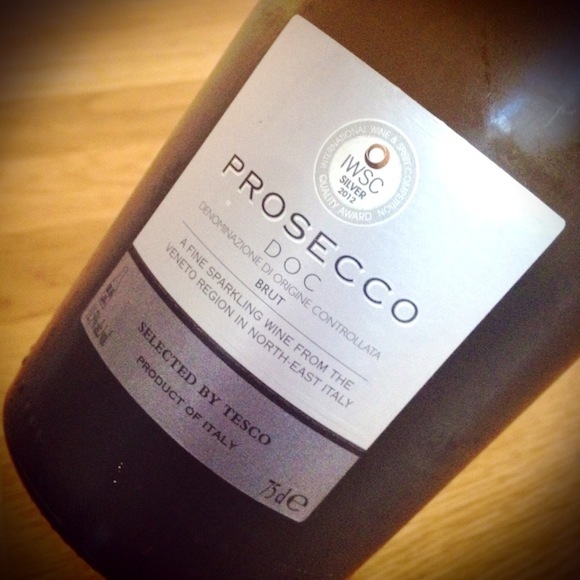 So it may come as a surprise for me to recommend not only a Prosecco under £10 but one from Tesco’s Finest range. Made by renowned producer Bisol, it’s probably the best you can get for this price (£9.99 when not on offer). Properly light and blossomy with touches of poached pear. Slips down with frightening ease. There’s more than one way to make Prosecco, however. The traditional double-fermenting, maturing-on-lees method – known as col fondo – is enjoying a bit of a revival, among some artisan producers and wine geeks at least. They still have that blossom and pear aspect, but with deeper dimensions added by the dead yeast – sourdough, brioche, salted crackers (depending on the producer). Like a giggling teenager who’s read Proust. My favourite to date is Zanotto Col Fondo, c. £15.50 from Selezione Zanotto, where there’s a subtle complexity between the floral, yeast and mineral flavours. 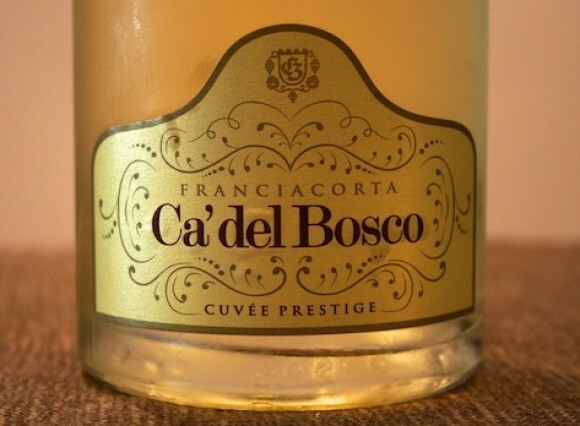 Last Christmas I gave my heart to Ca’ del Bosco Cuvée Prestige, Vini Italiani £37 . Don’t compare it with Prosecco. Compare it with a good quality Champagne. Delivers luxury for your buck. There are different types of Franciacorta and several producers export to the UK, as I reported a year ago. This Christmas Day, I’ll be opening some Nyetimber Rose 2008, £45 at Waitrose . I bloody loved the plump, creamy, elegant, vibrant 2007, so am excited to see what the ’08 has in store. You don’t have to spend that much to get a pretty decent English rosé. Camel Valley “Cornwall” Pinot Rosé 2011, £26.95 at the cellar door (and online) wins stacks of awards when tasted blind. It makes a good winter fizz. I drank some by an roaring fire when last in Cornwall (albeit in a chilly June). 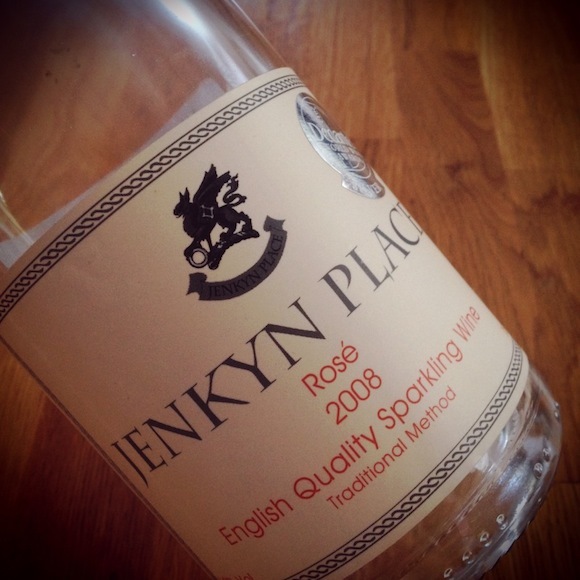 I’m also fond of Jenkyn Place Sparkling Rosé 2008, which I judged blind and wrote about before they sent me a free sample. It smells like macerated strawberries, and on first sip, has the slight sharpness of that first English strawberry of the season. Then those cream-flecked raspberry flavours come through and a mid-palate chalkiness to stop it being too girlie. Best thing about it? I put a rubber stopper in it and the next day it still had a good mousse and flavour. You can find it in a number of independent wine merchants and at Sparkling English Wine for £25. So there you have it. A few suggestions for Champagne alternatives. I don’t claim the list to be definitive. I’m aware there is nothing New World on there. Or any Cava. Or any English Brut. Or any Vouvray sparkling…. But I have a life, and so do you. And if I were to drink Champagne this Christmas, it would be a toss up between a decadent Grand Marque, Taittinger Comtes de Champagne 2000, £100 from Majestic or the biscuity, nutty, salted caramel Jérôme Prévost “La Closerie Les Béguines” 2008, a grower Champagne, £67, New Street Wine Shop. Fortunately, for my bank account, I’m not. Always struggled to appreciate sparkling wine as much as still – the bubbles distract me, perhaps, from the flavours – sounds silly but hey. Petillant was my way in, thanks to Domaine Huet’s delicious yet substantial example. I almost included the delicious Domaine Huet Vouvray Pétillant 2007 but it’s not a true Pet Nat (I don’t think, happy to be corrected). I bought mine from The Wine Society but I see BBR have a more expensive Cuvee Brut from the same producer. A good call. We are fans of Waitrose Prosecco – Don Leone NOT their others. Currently on offer at £6.66 (dangerous surely) rather than the usual £9.99. Did our Xmas Eve party proud. Our “house” champagne is Ariston Fils Brut – which we go to Brouillet near Rheims to get every now and again as it’s not imported here. Lovely, round flavour and a deeper colour than most champagnes. By the way, are you about to open a shop in Churchfield Road Acton? Sounds very good news if true… we live round the corner and my spare time seems divided between Ellie the beautician and Anthony the hairdresser – either side! Yes – that is me! All to be revealed soon. Just the long process of getting licences etc. I also love that you have a house Champagne.